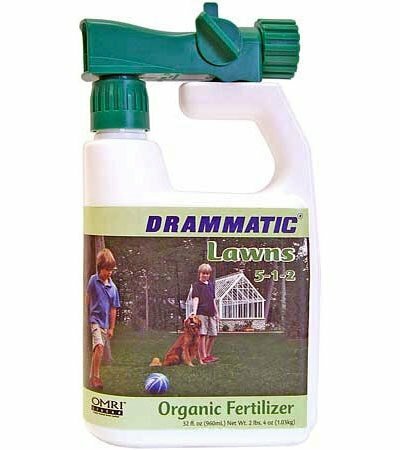 Drammatic Liquid Lawn Fertilizer comes packaged in a convenient ready-to-spray bottle. 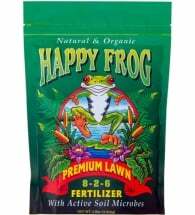 Just attach to any garden hose and apply over turf. Treats an average yard in 15 minutes. Derived from hydrolyzed fish. Apply anytime of year. OMRI Listed for use in organic production. 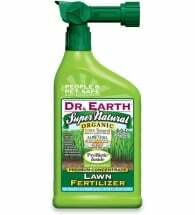 Attach hose to bottle and spray directly onto blade and root zone of grass. 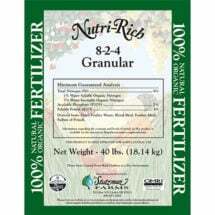 Quart (32 oz) covers 3,000 square feet. Best applied early morning or evening. Ingredients: Hydrolyzed fish, Chilean nitrate (2.24% nitrogen is from Chilean nitrate). 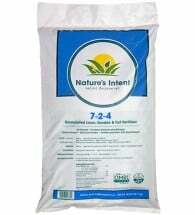 Slow release formula is safe to use and can be broadcast with conventional spreaders.